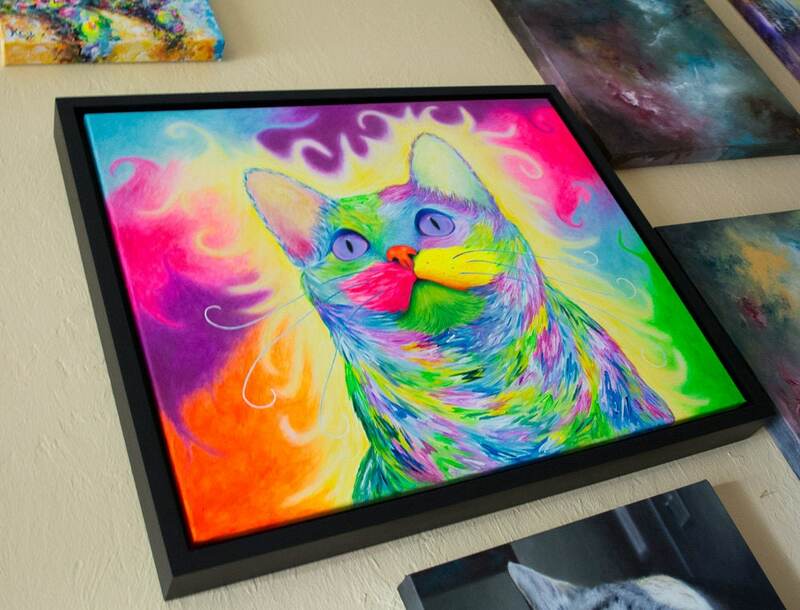 Handmade original acrylic cat painting. 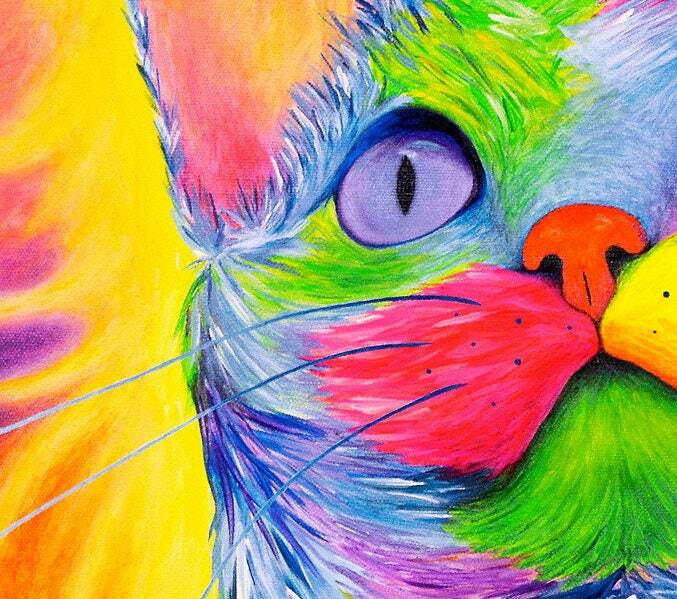 I painted “Rainbow Kitty” in 2015 in my style of psychedelic expressionism. 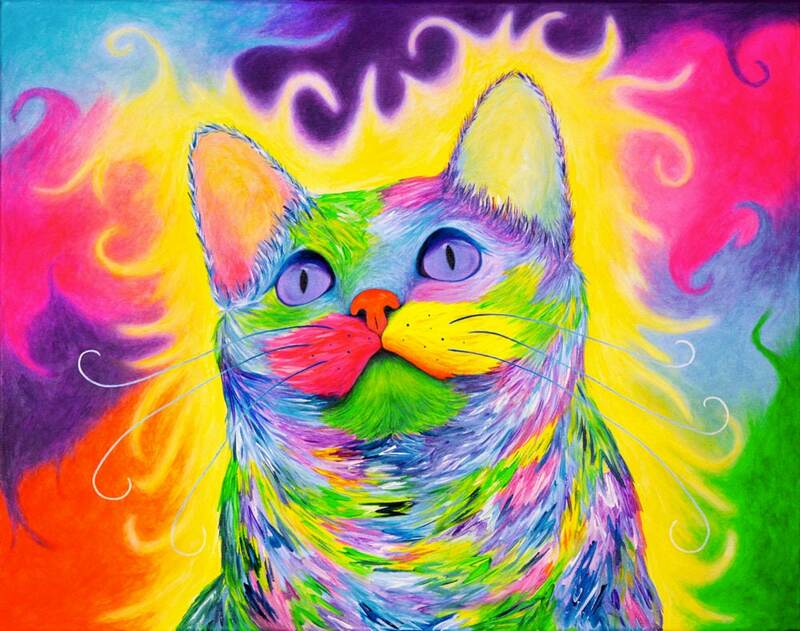 It is a portrait of my cat Karma, which depicts the psychedelic world of UV light that cats are uniquely evolved to be able to see. 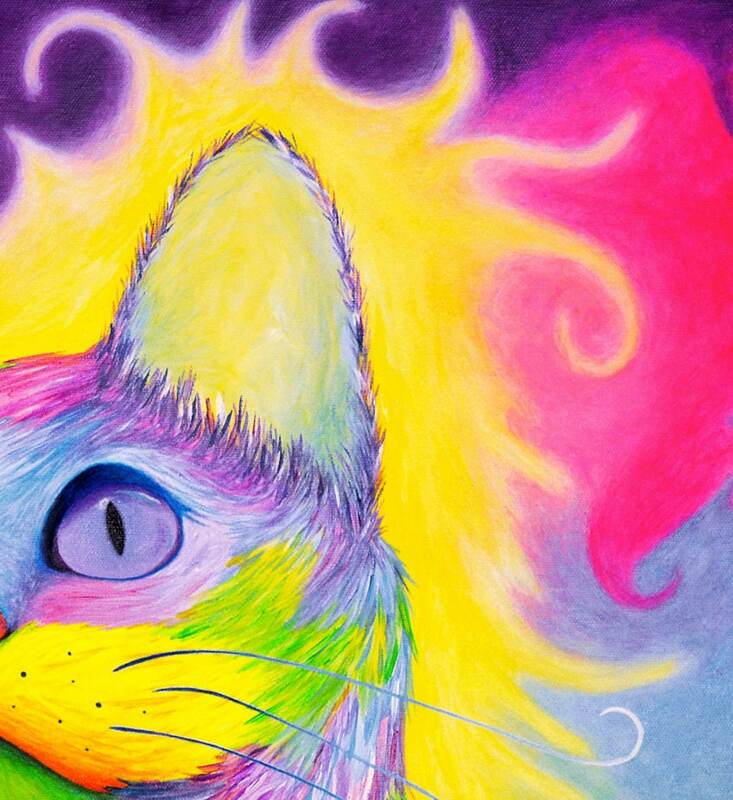 Since UV light is invisible to humans, we don’t know exactly what the world looks like to cats. Still, I imagine that it is filled with day-glow fluorescents! I used florescent paint, so this painting is very bright and colorful. The painting is signed on the back, and it comes with a certificate of authenticity. 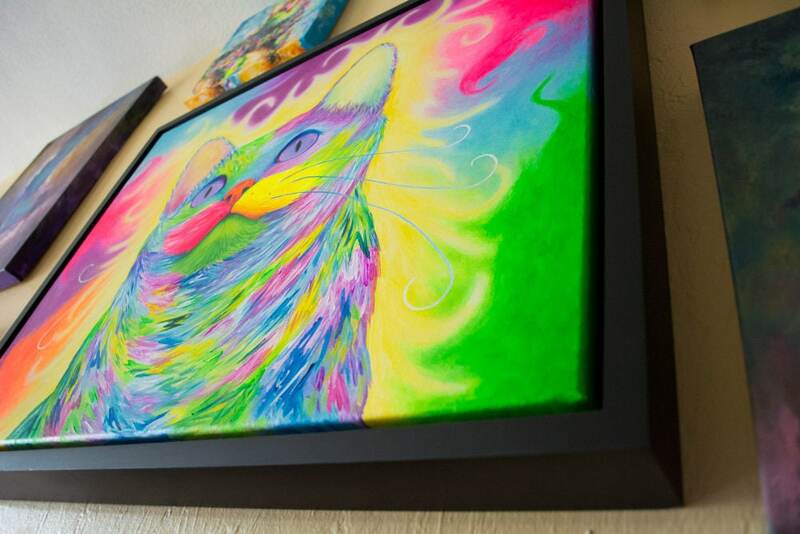 It is framed in a black wood floating frame.